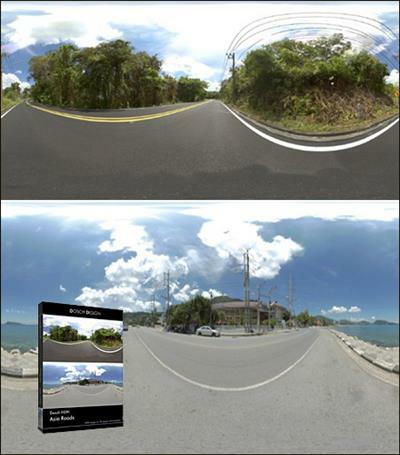 Dosch HDRI: Asia Roads contains HDRIs incl. corresponding backplate sets for 15 coastal scenery locations.Through combination of the background image of each location’s surroundings, and the HDRI-capture of that location, the object that is to be depicted at that exact location will be illuminated highly realistically. Thanks to HDR-technology visualizations will therefore offer almost unlimited lighting and mood options.